We were so grateful to have received a shoutout from Mike Cooney in the latest edition of Grapevine Magazine. 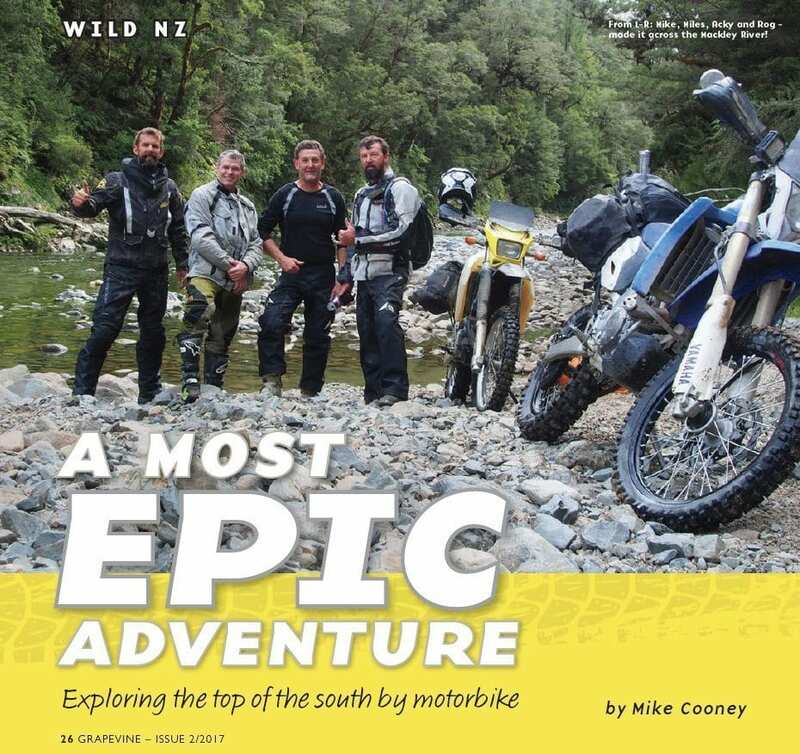 Mike has recently written an article about his “epic adventure” exploring the top of New Zealand’s South Island. It didn’t take us long to put a plan in place – one which centred on getting our mate Acky, and his mate Miles, along for the ride. 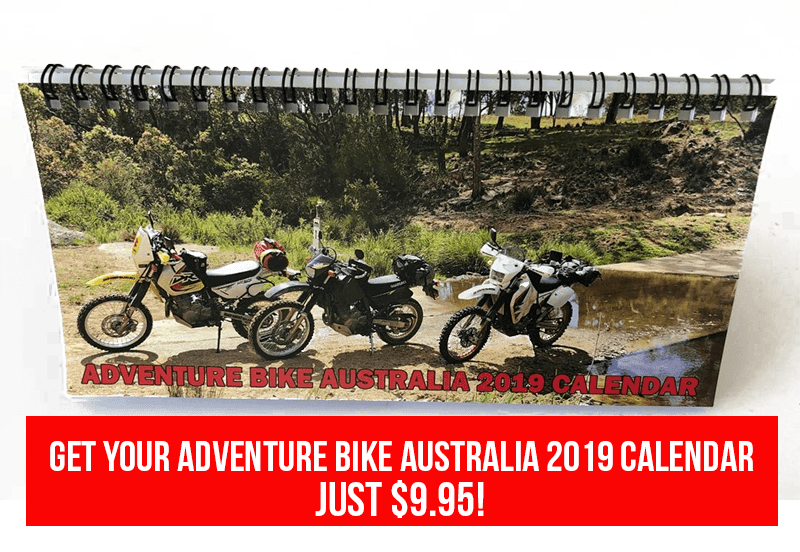 Both long-time motorcyclists themselves, these guys were mad-keen adventure riders, and had already tapped into the potential of the South Island, our chosen destination. With the emphasis on off road rather than on, our two mates already had a fair idea of how we could spend our days. The top of the south was the region we’d ride, and, by good fortune, Miles already had five days’ backcountry riding programmed into his GPS. We were good to go! Less than a year later, on a beautiful February afternoon, we found ourselves riding our bikes onto a Cook Straight ferry bound for Picton. This was to be the start of a most epic adventure. Because I realise some of you will want to know … these are the bikes we rode: Both Acky and Roger rode Yamaha WR450s, Miles a Husaberg 570, and I was on a Suzuki DRZ400. All of our bikes were modified from stock standard, with the most common upgrade being larger fuel tanks and softer seats! With (some days) nearly 300km between fuel stops, we would’ve been pushing our bikes the last 100km … and our butts would’ve been super sore! It was our pleasure Mike and we’re glad our products could be part of this “epic adventure” with you!